Submit to the GROUND ZERO anthology now! I recently stumbled upon a great blog called Retcon Poet that deals with poetry of mental health, “from depression to suicide to the system that is supposed to treat it.” While looking around the blog, I found a call for submissions for an anthology that the editor is putting together in coalition with Good Morning Bedtime Story, a suicide prevention program that “aims is to provide a forum for those suffering from depression and suicidal tendencies through art, writing and music.” Both blogs explore the ways in which art can help heal the damaged soul, through reflection, creation, and communication. You should definitely take a look! All proceeds will be donated to Do It For Daron, a collaborative mental health program by the Ottawa Senators and the Royal Ottawa Hospital. It is named for Daron Richardson, the 15-year old daughter of Ottawa Senators’ assistant coach Luke Richardson. She committed suicide in 2010. All contributors will be given credit, and you can submit under a pseudonym if you so wish. If you think you have something to offer, submit now — the deadline is fast approaching. I submitted today, and got a reply pretty quickly that one of the poems from my book, Chronicles of a Bee Whisperer, would be included in the anthology. The poem, “Foundation,” deals with the topic of child abuse and a young boy’s struggle to break free from the terrible cycle. For a look at a preliminary table of contents, ad well as submissions details for the cover contest, you can take a look here. Hey guys, check out this cool infographic illustrating the different pathways that an author can take to get published. From the traditional publishing model (with a well-established publishing house) to a completely DIY model, it can really help answer a lot of questions that the first-time author faces. Which is the best way to get your book published? I really can’t say — each pathway offers its own unique set of advantages and drawbacks. I tried to blow the image up as large as I could, but WordPress has its limitations. Click on the image below to open up a larger copy (it will open in google docs). Image credited to creator, Jane Friedman. Original post found on The Huffington Post here. A few months ago I had the pleasure of being interviewed for an alumnus feature article for UConn Today. It was a real honor for two important reasons. 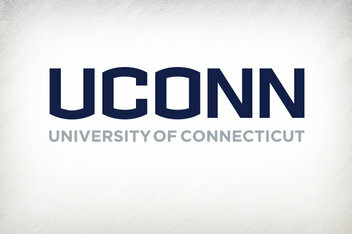 One: UConn was, and always will be, near and dear to me. And two: as a student, I worked at UConn Today. I researched, wrote, and edited articles for the publication. I know first-hand the amount of work that goes into these features. And I also know that the features are generally reserved for some pretty spiffy individuals (I wrote a piece for them after Michael J. Fox gave a talk on campus, for example). But I do have to say, being interviewed by a former coworker was a little embarrassing. And reading his feature makes me blush the full-faced blush of a virgin on her wedding night. The first two years after graduation have been busy for Timothy Stobierski ’11 (CLAS). Stobierski’s first collection of poetry – Chronicles of a Bee Whisperer – was released by River Otter Press in the fall of 2012. A short time later, he learned that six of his poems had been nominated for a coveted Pushcart Prize, the literary awards handed out annually by Pushcart Press to honor the best short stories, poetry, and essays published by small presses in America. And a few months ago, he was invited to talk about his book on “The Faith Middleton Show” for Connecticut Public Radio and WNPR. Not bad for a first-time young author. I fell to pieces today in the kitchen/where a shard of me got stuck/in my older brother’s toe./I asked him if it hurt and he said no;/I asked if I could have it back and he said/finders keepers/and scampered away/to compare it to the other bits of me/he’s hoarded over the years. The piece ends on a soft note. “I’m going to fall to pieces tomorrow in the bedroom/somewhere in the void between the sheets,/and you’re going to do the same./We’ll look at the pieces and trade with each other/and if you end up with the green of my right eye,/I’ll take your irrational fear of socks and say/fair trade/and we can work on putting each other back together,/stronger for the glue. Stobierski plays with the reader again in “Gastronomica,” where he offers a new take on a boyfriend sampling his girlfriend’s cooking. My girlfriend puts her heart and soul/into everything she cooks,/and it’s nice to know she loves me enough/to tear out those essentials and share –/don’t get me wrong –/but I don’t think she realizes just how chewy valves can be,/or how difficult it is to eat a waffled soul,/however much syrup is applied./Some things go down easier than others, /and Eggos are certainly kinder on the stomach. Stobierski says he wrote most of the poems featured in the book during his last two years of college, when he was working for UConn’s literary journal, the Long River Review. He credits Barreca, associate professor Penelope Pelizzon, and English professors-in-residence Sharon Bryan and Darcie Dennigan with having the most significant influence on his writing. The title of the book comes from a poem that Stobierski wrote while attending classes at UConn. While Chronicles of a Bee Whisperer tells us the story of the first time Stobierski was stung by a bee, it also reflects a larger tale of a young man’s struggle to find himself and his place in a world fraught with bees of all sorts. There was a brother once – whether he was mine/I can’t recall – but he taught me the syntax/the secret language of bees./I was eight, and he had just scooped /a bumblebee out of our dog’s water dish,/and it sat there in his palm, vibrating itself dry./It was a wet cat of a bee;/it had gone too close to the water’s edge and fallen in/and would have drowned, /save this brother fished him out./It stayed nestled in his hand ‘til dry,/and that next spring my mother’s roses bloomed/with a fervor I’ve not seen before nor since. Some men wear a beard of bees,/some harvest honey,/some acupunct their clients with a sting on the joints/to relieve a decade-old arthritic ache./To each his own./I sit in the clover and listen to bee songs –/their hungry songs, their happy songs,/their working songs, their lusting songs – I listen/and whisper my response and we are brothers, sisters/in the clover. Looking forward, he says he would love to make a living as a writer and that he will always write. He has had several internships in the publishing world and enjoyed them, but is currently employed as an assistant to a project manager at a software development firm. He misses the college atmosphere. I just read an article on the Good Men Project that states creativity is the personality trait linked to the highest rate of failure. Now, that may come as a shock, but it makes perfect sense. The most creative people are those who venture into new and daring ideas — they try new things, before anyone else. Sometimes they succeed, and wildly so. But more often than not, creativity is met with failure. The important thing, though, is that if you wish to succeed wildly, you must be willing to fail wildly — only then are you sure that you are taking the risks required for the highest pay-out. You might think that answer is bone idle laziness, brutish ignorance, a complete lack of ambition or some equally negative trait. Surprisingly, the answer is none of these! They don’t even come close, because the trait most likely to cause failure is creativity. Even in its mildest form, creativity delivers failure in abundance. This isn’t just an unsupported opinion; there is plenty of evidence. The person who is held by many to be one of the most creative inventors of the industrial era developed more than 10,000 failed prototypes for just one of his ideas. The most creative painter of the modern era produced more 13,500 paintings, 99.9% of which you will never have seen or even heard of. The world’s most creative and most important animator filed for bankruptcy 7 times while trying to establish his animation studio. It seems that Thomas Edison, Pablo Picasso and Walt Disney bounced happily from failure to failure all of their lives, and yet they were tremendously successful people. That’s right. Some of the most important names in history are the names of people who failed repeatedly throughout their lives. But after each failure they came back stronger and smarter — they learned from their mistakes and used those lessons to ultimately get ahead. What has your experience with creativity and failure been? Has the failure ever been great enough to make you consider giving up creativity altogether? ‘Chronicles of a Bee Whisperer’ on sale for only $8.99! So, Amazon notified me today that my book of poetry, Chronicles of a Bee Whisperer, was put on sale at 10% off — bringing its price down to only $8.99! I don’t know how long the sale will last for, but if you’ve at all been on the fence about buying a copy of the book, or you’ve been waiting for the right time, today’s the day. Also on sale at 10% off are two other Grey Sparrow/River Otter books, Bones Buried in the Dirt by David S. Atkinson and Shenanigans! by Joseph Michael Owens. I just stumbled across this amazing short video created out of a portion of the famous “This is Water” speech that David Foster Wallace gave to the 2005 graduating class of Kenyon College. It is an intensely powerful speech, and I hope you enjoy it as much as I do. If you’re worried that I plan to present myself here as the wise old fish explaining what water is, please don’t be. I am not the wise old fish. The immediate point of the fish story is that the most obvious, ubiquitous, important realities are often the ones that are the hardest to see and talk about. Stated as an English sentence, of course, this is just a banal platitude – but the fact is that, in the day-to-day trenches of adult existence, banal platitudes can have life-or-death importance. A huge percentage of the stuff that I tend to be automatically certain of is, it turns out, totally wrong and deluded. Here’s one example of the utter wrongness of something I tend to be automatically sure of: everything in my own immediate experience supports my deep belief that I am the absolute centre of the universe, the realest, most vivid and important person in existence. … It is our default setting, hard-wired into our boards at birth. Think about it: there is no experience you’ve had that you were not at the absolute centre of. Check out this article by the amazing Gina Barreca on women’s humor in a “post-Sarah Silverman world”! Gina was a professor and mentor of mine up at the University of Connecticut, and she wrote the preface to my book Chronicles of a Bee Whisperer. Wildly funny in her own right, she regularly examines the power of humor in our daily lives. If you’re looking for a good laugh and some insight, this most recent article of hers won’t let you down! Comedy in all its familiar forms–from novels to films, from cartoons to stand-up comedy, from humor in the workplace to humor in intimate relationships–can help women recognize new sources of power within themselves. The productive use of humor is a challenge facing a generation of women who have grown up only half-recognizing the power of their own laughter. Humor gives women a chance to criticize without pain, express our anger without injury and deflate someone’s pretensions while allowing them their dignity. A joke correctly placed can open doors, repair damage and avoid crisis. On the other hand, a joke badly placed can cut communication, cause embarrassment and create irreparable harm. A joke is never just a joke; it’s all about power and voice. And a gag can stifle your voice, shut you up if the gag is placed over your mouth–or allow you to be heard more clearly than ever before, with the fabulous, fierce triumph of the last laugh. Check the rest out here, and while you’re at it, pick up a copy of her book They Used to Call Me Snow White… But I Drifted, now in its 19th printing!